Legendary Tecra durability meets a suite of advanced security features, for a corporate workhorse laptop that stands out from the crowd. 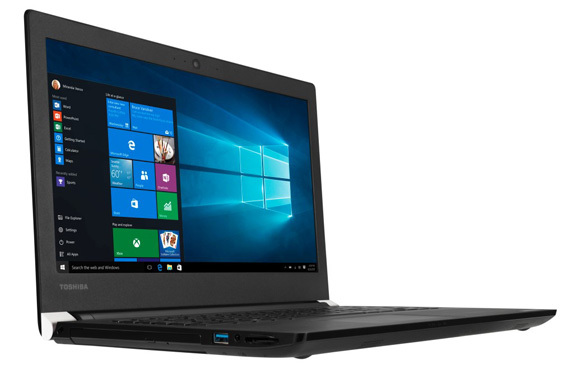 The Tecra A40 series delivers formidable Intel® Core™ performance and lasting battery power in a portable, sleek chassis for all your business needs. Attain peace of mind with the rigorously-tested Tecra tradition of integrated software and hardware durability. 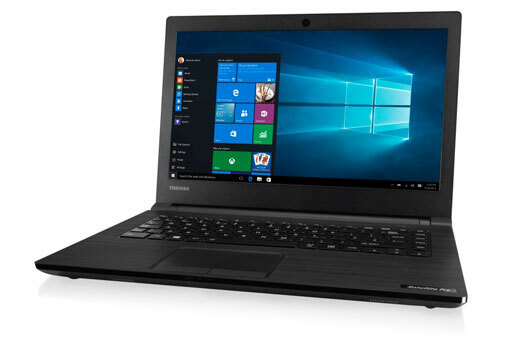 Toshiba EasyGuard™ TechnologyΩ and in-house developed BIOS combine with a shock-resistant chassis to deliver unparalleled data protection and lasting durability on the road. Cruise through the most challenging work tasks at lightning speed, with the latest Intel® Core™ processors. Plus, advanced built-in security features like 3D HDD Protection, Smartcard Technology and Fingerprint Reader (optional) help safeguard critical business data, so your organisation can focus on advancing ahead. 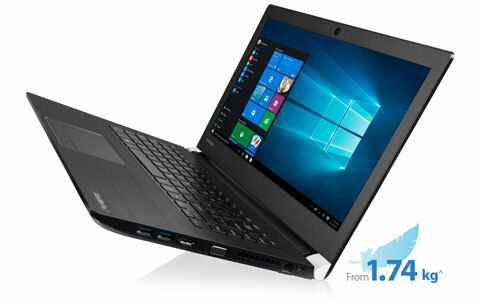 Tecra A40 is packed with built-in connectivity ports like VGA, HDMI, Gigabit LAN and SD card reader in a sleek, streamlined 1.74kg^ chassis that will satisfy the most demanding of mobile professionals. HD webcam with dual microphones delivers crystal clear video conferences, while the impressive 8-hour battery life and exceptional 14” Display let you craft and deliver striking presentations on the fly. The addition of Intel® Wireless Display technology removes the hassle of wires when paired with compatible equipment. ΩToshiba EasyGuard™ Technology includes up to 24 features. *Battery life rating based on Windows 10 Pro (measured by MobileMark™ Office Productivity 2014).